The 2009 Station Fire burned more than 160,000 acres of the San Gabriel Mountains. Subsequent storms brought in more than 1.3 million cubic yards of sediment into Devil's Gate Reservoir (enough to fill the Rose Bowl 3 times). Devil's Gate Reservoir currently lacks the storage capacity for even one major debris storm event. 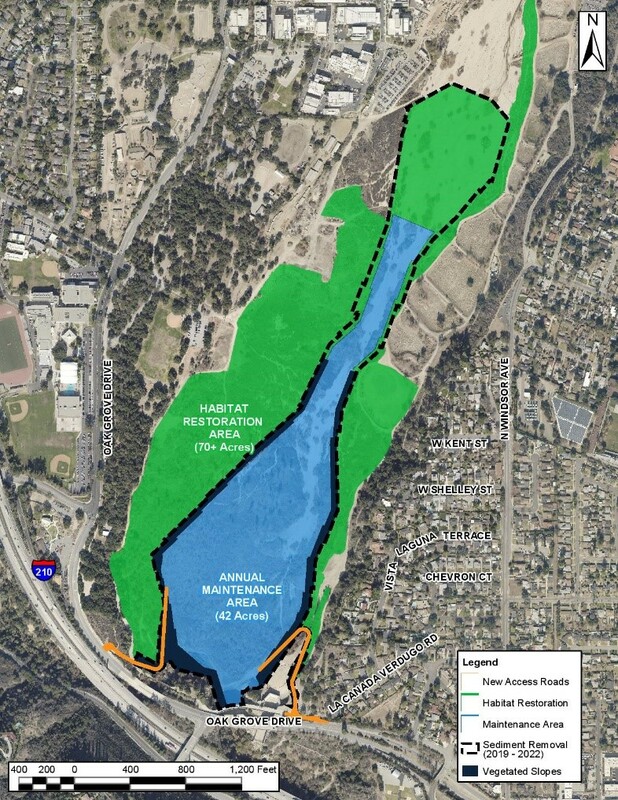 Los Angeles County Public Works must remove the excess sediment behind the dam to protect downstream communities along the Arroyo Seco; these include the Cities of Pasadena, South Pasadena, and northeast Los Angeles. Once the project is complete, the reservoir will have 3 million cubic yards of capacity to better manage flood risk. 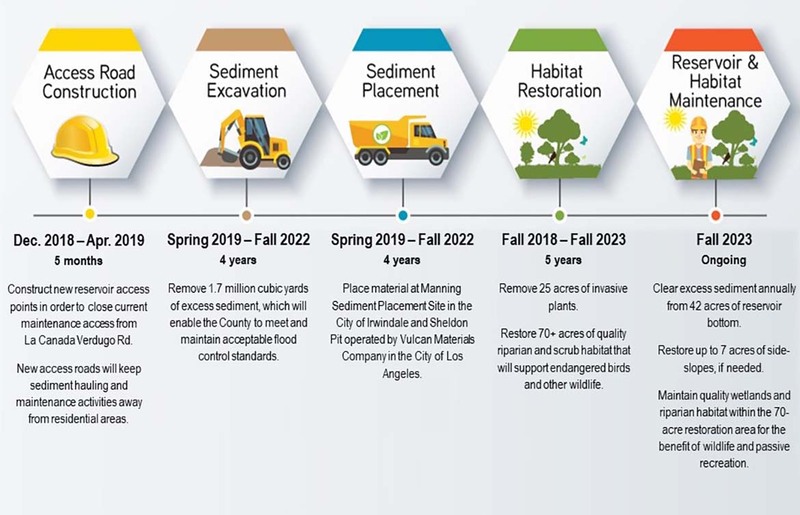 Public Works will establish a permanent maintenance area that it cleaned annually to avoid large-scale sediment removal projects in the future. 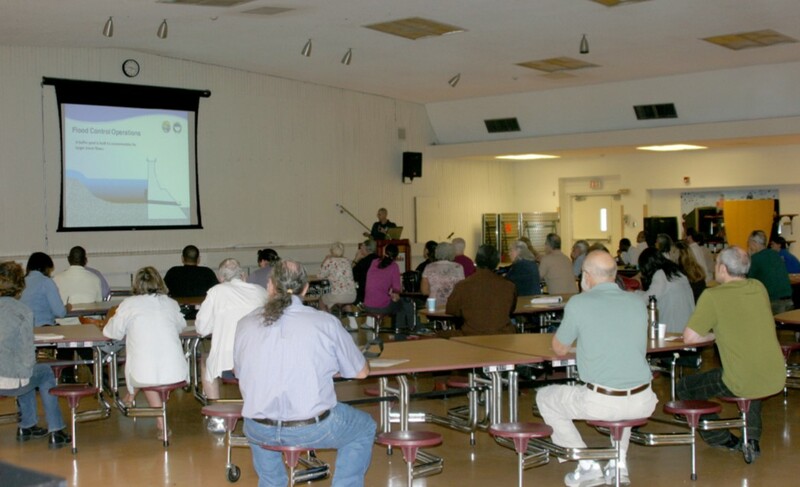 Since 2011, Public Works has hosted numerous community meetings in Altadena, Pasadena, La Cañada Flintridge, and downstream communities in Los Angeles. 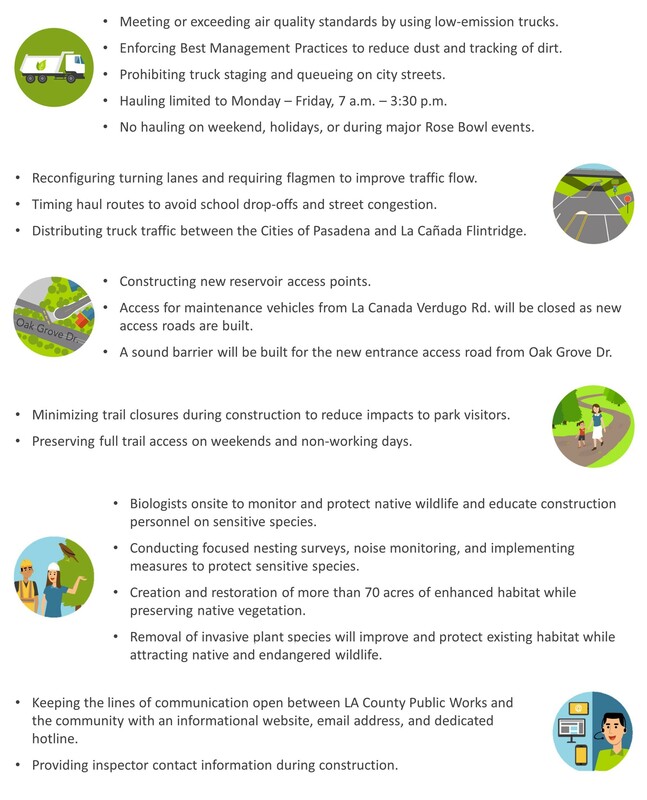 Public Works has participated in city meetings with Pasadena, La Cañada Flintridge, at Altadena Town Councils, and in Windsor-Arroyo Neighborhood Association gatherings. Other meetings have been held with regional community organizations including the Arroyo Seco Foundation, Hahamongna Watershed Park Advisory Committee, Altadena Heritage, Pasadena and La Cañada Unified School Districts, and the Tournament of Roses. 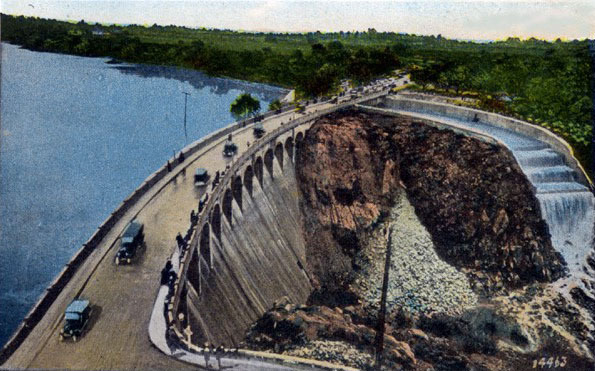 Devil's Gate Dam was built in 1920, the oldest dam constructed by the Los Angeles County Flood Control District, to provide flood protection to the cities of Pasadena, South Pasadena, and Los Angeles. Click here to view the history of Devil's Gate Dam and Reservoir and the evolution of the Devil’s Gate Reservoir Restoration Project.